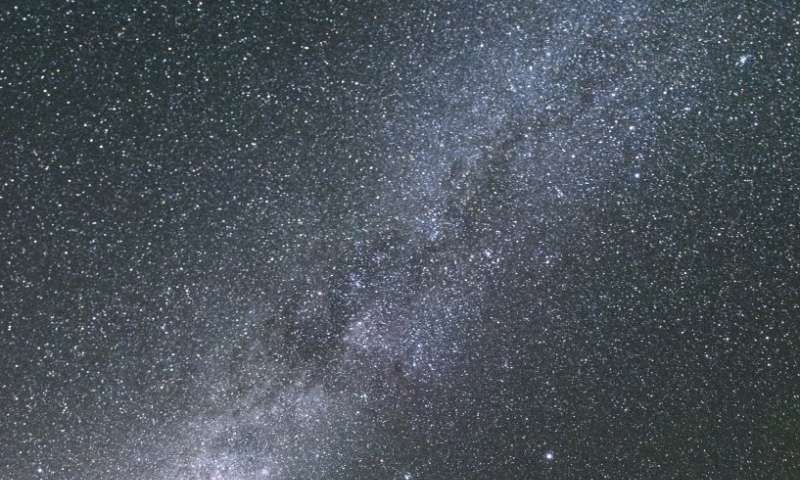 Astronomers have discovered a rare "runaway" star that is speeding across its galaxy at a 300,000 miles per hour (at that speed it would take about half a minute to travel from Los Angeles to New York). The runaway star (designated J01020100-7122208) is located in the Small Magellanic Cloud, a close neighbor of the Milky Way Galaxy, and is believed to have once been a member of a binary star system. When the companion star exploded as a supernova, the tremendous release of energy flung J01020100-7122208 into space at its high speed. The star is the first runaway yellow supergiant star ever discovered, and only the second evolved runaway star to be found in another galaxy. After ten million years of traveling through space, the star evolved into a yellow supergiant, the object that we see today. Its journey took it 1.6 degrees across the sky, about three times the diameter of the full moon. The star will continue speeding through space until it too blows up as a supernova, likely in another three million years or so. When that happens, heavier elements will be created, and the resulting supernova remnant may form new stars or even planets on the outer edge of the Small Magellanic Cloud. The star was discovered and studied by an international group of astronomers led by Kathryn Neugent, a Lowell Observatory researcher who is also a graduate student at the University of Washington in Seattle. The team included Lowell staff members Phil Massey and Brian Skiff, Las Campanas (Chile) staff astronomer Nidia Morrell, and Geneva University (Switzerland) theorist Cyril Georgy. Their findings have been accepted for publication in the Astronomical Journal. The discovery was made using the National Optical Astronomy Observatory's 4-meter Blanco telescope, and the Carnegie Observatory's 6.5-meter Magellan telescope, both located northern Chile. Their work was funded by the National Science Foundation. The north-pole star, Polaris, is a yellow supergiant, as is Canopus, one of the brightest stars visible from the southern hemisphere. Yellow supergiants are very rare objects because the yellow supergiant phase is so short. A massive star may live for as much as ten million years but the yellow supergiant phase itself lasts only ten to a hundred thousand years, an eye-blink in the life of a star. After this short time, yellow supergiants expand into giant red supergiants, like Betelgeuse, with sizes as large as the orbits of Mars or Jupiter. These stars eventually die in spectacular supernova explosions.